After trying to find a solution to your problem and coming up empty, you’ve decided to just invent your own solution, and an intellectual property law firm in Charlottesville, VA can help you do it. Whether that is a physical product, an idea, or an app, this idea is considered intellectual property and you want to make sure you protect it. Below, we’ll walk through the definition of a patent and what types of things you should consider getting a patent for. The law office of Dale Jensen, PLC can help you when you are unsure of what next steps you need to take with your intellectual property. Intellectual property is your own idea that you are able to protect through obtaining a copyright, patent, or trademark. According to the World Intellectual Property Organization (WIPO), the global forum for intellectual property services, “intellectual property refers to creations of the mind, such as inventions, literary and artistic works, designs, and symbols, names, and images used in commerce.” It applies to everything and anything that it uniquely your idea and gives you protection so you can earn money off of it if you choose. An intellectual property law firm Charlottesville, Virginia can rely on would like to help you. A patent, copyright, or trademark? Now that you have this intellectual property, you will want to make sure it is protected correctly. Patents, copyrights, and trademarks are all different ways you can protect your intellectual property, and a Virginia intellectual property law firm can help you determine which is best for your intellectual property. What type you should file for is based on the type of intellectual property. Let’s dive into what each actually is. A patent is what you would obtain for a physical product. According to the dictionary, the definition of a patent is “a government authority or license conferring a right or title for a set period, especially the sole right to exclude others from making, using, or selling an invention.” Basically, this means that for a specified period of time, no one else can make your invention. A patent gives the inventor protection while they are introducing their idea to the public. A respected attorney from the law office of Dale Jensen, PLC can help with your patent. A copyright applies to all literary creations. This includes music, movies, books, plays, audio, video, and artistic works. Small businesses can also copyright slogans and taglines. Technically every type of work is copyrighted upon completion, but you will need to register for a copyright if you want to prevent anyone from stealing your work or if you need to sue someone for using your work. A trademark is specifically for businesses. It protects small business’ names, logos, slogans, and anything related to their brand. If you want to trademark your small business, make sure you do extensive research beforehand to ensure there is no other company existing with that name. Once you have done so, speak with a Charlottesville, VA intellectual property law firm you can rely on to take steps toward getting your trademark. Depending upon your idea or business, you may want to consider getting multiple protections. For example, if you want a patent for the new product you are selling, you would want to copyright any of the books, manuals, or marketing videos you create, and your company name and logo should be trademarked. How an Intellectual Property Law Firm in Charlottesville, Virginia Can Help You! If you have found an innovative solution for the problem you experienced in the market, then you should highly consider protecting your intellectual property with the help of an attorney from the law office of Dale Jensen, PLC. Additionally, if you are starting your own business based on your idea, do your research and make sure you protect every part of your new business. 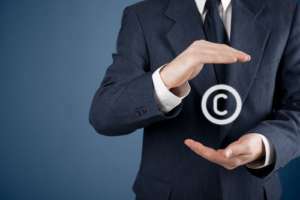 Contact an intellectual property law firm Charlottesville, VA relies on today for help with your intellectual property!